British Built Cars | UK car manufacturing up - one built every 16 seconds! UK car manufacturing up - one built every 16 seconds! 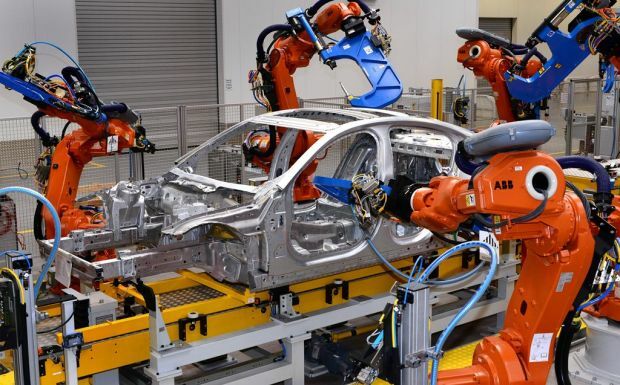 British car manufacturing continued its strong growth in March with output increasing 9.8% to 159,074 units, according to figures released today by the Society of Motor Manufacturers and Traders (SMMT). Overseas demand showed the biggest gains, up 14.3% in the month, while production for the home market was broadly stable, falling slightly by -1.4%. It was a trend reflected in first quarter figures, with exports for the first three months growing 11.1% to 329,653 units, while domestic output also rose by 8%, buoyed by stronger growth in January and February, to take overall manufacturing volumes to 443,581, an increase of 10.3%.